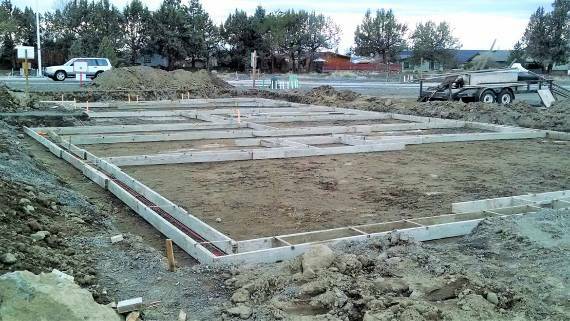 Now that the foundation forms are removed we are prepping for back fill against the foundation walls, some trenching for utilities, then layout for concrete pads and also pour the garage floor. 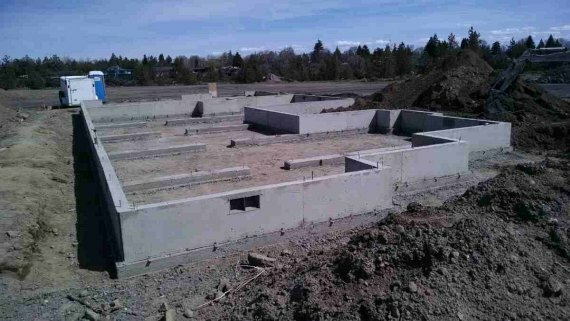 Foundation forms are getting set in place. Figuring the front walkway to the porch, and the driveway slope, have been calculated and both will make an easy entrance into the home. Push out has started and fortunately we did not have to pound out any rock for the foundation. The general footprint of the home can now be visualized. 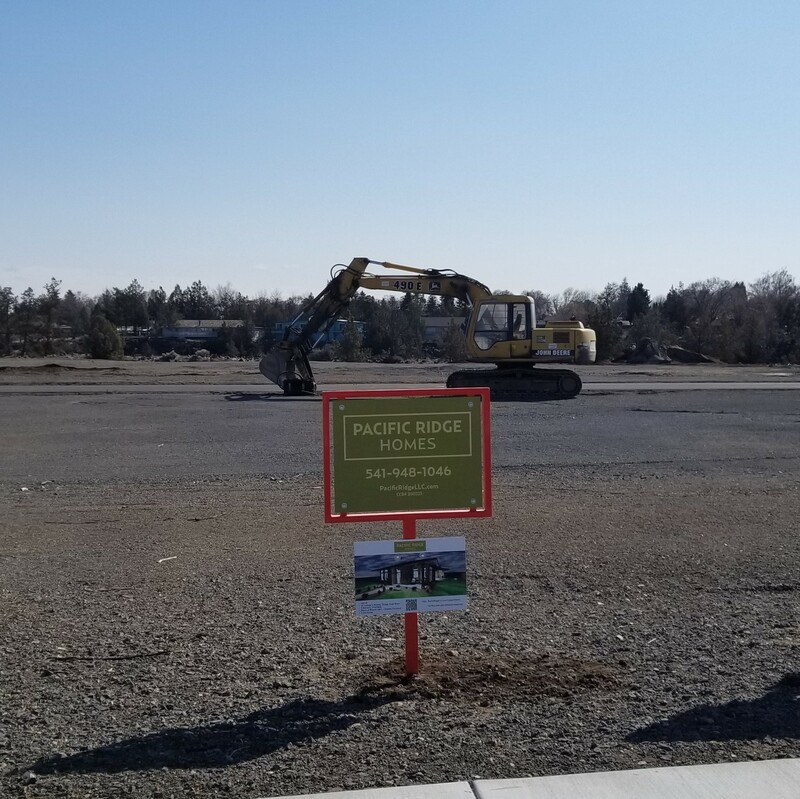 After months of design and preparation awaiting for Phase 9 in Canyon Rim Village to become available, we are ready to go. Pacific Ridge Homes is pleased to announce this Custom New Home in Redmond, Now Available for Pre-Sale. A spacious single level home with a comfortable 1761 square feet. 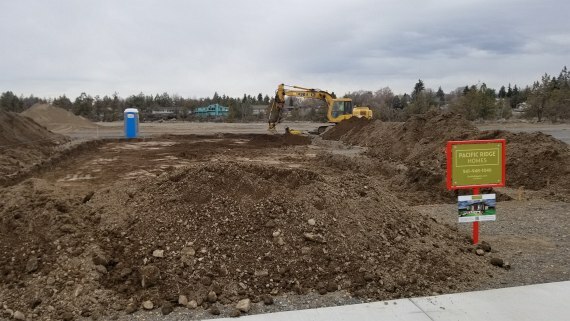 Please continue to revisit our blog and catch a little more detail as to how construction is progressing. Of course, you may view the specs and renderings of our custom home on our Custom Homes page.